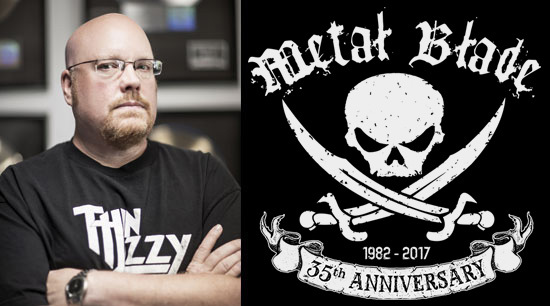 Founded upon owner Brian Slagel’s enduring drive to find great bands and get their music out to as many people as possible, since 1982 Metal Blade has brought wave after wave of powerful, innovative, and often genre-defining music to the ever-hungry metal masses. It is this ethos that has seen Metal Blade build up a stunning and diverse catalogue, weather the various storms facing any independent label, and in an age of declining record sales boast the most successful years of its existence as it strides into its fourth decade. QUESTION: Does Metal Blade accept unsolicited material? QUESTION: Where can I send my demo? ANSWER: We no longer accept unsolicited demos. QUESTION: How can I check the status of my online order? ANSWER: Please go HERE and sign-in to check on the status of your order. QUESTION: Why was the show for my favorite Metal Blade band canceled in my area? QUESTION: Why is the show in my area 21 and over? ANSWER: Metal Blade Records has no control over the age limit venues put on their customers. As a record label, all we can do is support our bands while they’re on the road. Anything having to do with live performances is situated between the venue and tour promoter. QUESTION: How can I contact my favorite Metal Blade bands? ANSWER: Most bands have mailing address and/or email address information on the inner sleeves of their CD’s. You can also check the artist section of the Metal Blade site to find links to the bands’ websites and social networking pages. If you are still unable to find contact information, please contact us HERE and we will forward your request.